Dedicated to protecting the basic legal rights of ordinary people in developing countries since 2000. Having completed his pre-university education with great success scoring 4.0 on a 4.0 point scale evaluation at the Ethiopian School Leaving Certificate Examination (ESLCE), Mr. Tesfaye Ayalew Mekonen was one of the few students to acquire the honorable award of the Government of Amhara State. He obtained his L.L.B. and L.L.M. 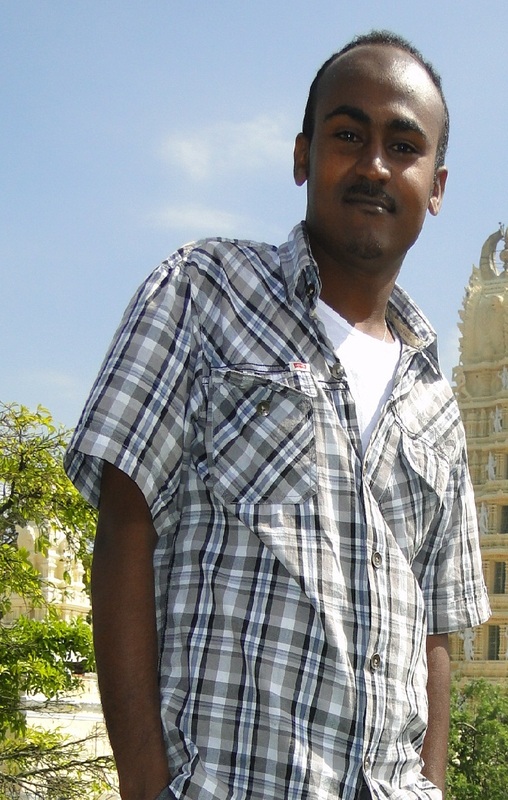 at the Addis Ababa University and University of Mysore (India) respectively. At the latter university, he enrolled upon winning the Indian Council for Cultural Relations (ICCR) Postgraduate Scholarship Award. In addition to these exceptional achievements, Tesfaye has been involved in a number of high level research projects (e.g. “The African Charter on Human and Peoples` Rights: The Universalism of Human Rights Vis-à-vis Group Values Debate and Its Implications for Peace Building and Democratization in Africa”; “The Status of Prisoners’ Rights and Administration of Penitentiary Justice as an Instrumentality for the Reformation of Prisoners: A Case Study in Shewa Robbit Prison”). He has worked as an instructor of law in law colleges and as a legal advisor for the Addis Ababa City Administration Land Management Project Coordination Office. As of September 2013, he has been Lecturer of law at the Debre Berhan University. In his beliefs and vision, this brings about the remarkable responsibility of cultivating well-versed citizens who will, one way or the other, determine the fate of the country. In addition to his teaching and research work, he has been providing free legal aid services for vulnerable groups of society through the Free Legal Aid Centre of the University. Mr. Tesfaye Ayalew Mekonen has been particularly concerned about the multi-faceted and complex problems of prisoners, such as the lack of proper follow up of their litigation at the trial and appellate level, absence of due care/protection for their property left behind and the lack of proper attention for procedural justice throughout the proceeding they have gone and during their stay in the prison. With the awarding of the JusticeMakers Fellowship, Mr. Mekonen will be empowered to address these societal concerns even more effectively. Mr. Mekonen intends to improve the cooperation between the Debre Berhan Prison and the Wereda Police stations. This enhancement will narrow down the gap there is in the criminal investigation procedure, ensure that torture will never be used as an investigative tool, and avoid long periods of pre-trail detention. This project is being established to ensure prisoners’ rights of access to justice and a speedy trial. Throughout the duration of the project, Mr Mekonen provided legal assistance and advice to over 70 prisoners and pre-trial detainees, and identified thirty prisoners in Debre Berhan Prison who had previously sent applications to the appellate and cassation division of the Amhara state Supreme Court. He traveled over 680km to Bahar Dar where the court is located and spent 4 days searching through documentation with the assistance of court clerks to identify the status of the prisoner’s applications. He located 16 of the 30 applications and was able to communicate the judgement that had been made on each case so that the prisoner’s files could be updated and the appropriate action could be taken. Furthermore, Mr Mekonen secured the release of five pre-trial detainees who were being held in police custody, and enabled seven prisoners who’s families were unaware of their whereabouts to make contact with their relatives. In addition to providing legal assistant to indigent detainees, Mr Mekonen organised a three-day training session for 40 investigating police officers on basic investigation techniques and upholding due process rights. Mr Mekonen received extremely positive feedback from participants of the training who confirmed that their knowledge of due process rights had been improved. Mr Mekonen also developed a training manual on criminal investigation skills and due process rights in the local language of Amharic, a valuable reference tool made available for all investigators. In recognition of the fundamental principles of the Universal Declaration of Human Rights, International Bridges to Justice (IBJ) is dedicated to protecting the basic legal rights of individuals in developing countries. Specifically, IBJ works to guarantee all individuals the right to competent legal representation, the right to be protected from cruel and unusual punishment, and the right to a fair trial. Holder: International Bridges to Justice INC.